Learn about transit options including Harvard’s 50% subsidy on monthly MBTA passes for benefits eligible faculty, staff, and postdocs. Enjoy the environmental and monetary benefits of shared transportation. Biking can offer a fast and efficient method of commuting to work or school and traveling around Harvard's campuses. Walking is an important part of every commute and provides a healthy and environmentally friendly way to get around. Employees who commute green can be reimbursed for up to four trips per year via taxi/ride hail, transit or rental car in the event of a personal or family emergency. CommuterChoice is aware that MassRIDES’ Emergency Ride Home Program will be ending on April 30th, 2019. We are actively researching solutions. When we have more information, we will provide an update to current ERH members. Want to try alternative transportation but not sure how to begin? CommuterChoice is here to help. 2018 Bike Benefit submissions are now closed. We will send out an email when reimbursements have been processed. 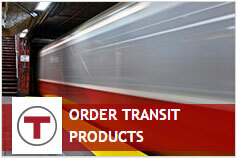 CommuterChoice is actively researching solutions for the MassDOT ERH program that will be dissolving effective April 30. Current ERH members will be updated as we learn more information. MBTA Fare Changes effective July 1, 2019 can be viewed here.